Procrastination may have a bad reputation. Many people consider it a weakness. What if it were a good thing? What if it showed you the way to living your dreams and reaching your true goals? I hope this helps you see the value in why procrastination is a good thing. It can show you the way to a solution. 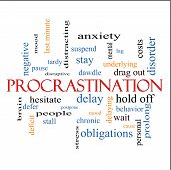 Just make that list of all the things your are procrastinating about and then figure out the reason. Then you will know what it all means.